That’s not me. That’s Jayden of B&M Store. This article is informed by my experience as a retail leasing agent in Perth, Western Australia, over about ten years. Retail leasing was my livelihood exclusively for about five and a half years of this time, until mid-2010. It was commission based work, with payment only being received at the close of lease execution, tenant possession and the fulfilment of special conditions relating to building work. I worked wherever I wanted. I chose to work in Perth’s town centres; this included the Perth CBD; Northbridge; Oxford Street Leederville; Rokeby Road Subiaco; Bay View Terrace Claremont; central Fremantle and approximately twenty others. I chose these locations because they were the most pleasant places to work in the metropolitan area. Most of my meetings were held on-street, among street-life, as I Iistened about trends affecting shops, customers, places and retail – topics everybody seemed to want to talk about. Fundamentally, my aim was to market a property and its region to retailers. It became clear to me that the best way to do this was to become an expert on the landlord’s requirements, the potential tenant’s requirements, and the places, being the town centres, so I could coordinate alignment between them. This would be joyous sport of its own, but it is made delicate because the alignment could only occur when ‘opportunity,’ such as a vacancy was pending, and all parties could sustain pleasant-headedness through a process of ‘conception’ which could take up to two years. It’s hard. Throughout this period, I created a contact database of about 4,500 potential leasing tenants and 1,500 landlords – 6,000 personal contacts in all. I recorded data on which town centre each tenant wanted to consider, which retail category the tenant fitted into (of about 30 categories), their size requirements in square metres and whether they were a ‘start-up’, a retailer with ‘one or two shops’, or a ‘chain’ with three or more. Further discrimination was made, including differentiation between a local chain (example Flanel) and a national chain (example Witchery), franchises (Subway) and company-owned shops (McDonalds), (the former has local investment and management, the latter generally does not). I also maintained separation between a café, lunch bars and restaurant (their predominant offer occurs at breakfast, lunch or dinner), a small bar and a pub, a designer versus a reseller of apparel, discount versus mid-priced versus aspiration-apparel, and more. The upshot is that a filter can be applied to determine how many potential lunch bar operators were looking for a site in South Perth (3) or how many chain stores in ladies fashion are looking for Subiaco (8). This allows a much more ready approach when the ‘stars align’ and appropriate sites become available. Considering the lead in time of up to two years, the network of town centres and the specific requirements of interested parties, potent insights are learned on why some town centres are more resilient and sustainable than others. I kept similar records on property – their sizes, owners, rents currently paid, lease expiry dates, were there any options to renew?, next market rent review and floor plans. All this information neatly intersects with the needs of retailers and must be apparent if a town centre wants to increase its sustainability. If this information is not handy, retailers can lose interest or be attracted elsewhere where the information (leadership) is clearer. Because shopping centres have a single landlord structure, communication with retailers who contribute to the centre’s sustainability can include as much holistic information on the performance of the centre as is demanded. Information and services a shopping-centre landlord can discuss with its potential tenants are: foot traffic figures; store turnover figures; maintenance and security programs; promotional programs; shop sizes; upcoming availabilities; or neighbouring tenants (adjacencies). These can be discussed in the level of detail or combination that suits the potential tenant and in themselves are a form of centre marketing – they display leadership, agility and partnering. Town centres must begin to provide the human resources and technological support so retailers who can add to a centre’s sustainability have relevant information to maintain their interest. In discussions over city sustainability and the threat of out-of-town, purpose built, single landlord, shopping centres, commercial leasing is frequently raised. The proposal is that shopping centres’ most considerable advantage is that they can control the balance of businesses uses, due to the universal control of all premises by the one party (the shopping centre owner). This is usually accompanied by lament that the town centre cannot possibly compete with a shopping centre as this paradigm will never be repeated in town. Various landlords, each seeking their own benefits, means that the town centre cannot proactively ‘play chess’ with the elements in the centre as a shopping centre does, by making a sacrifice in one area for a gain in another. This argument is usually rooted in the belief that retail leasing is only coordinating retail uses to create a ‘whole’, such as in a shopping centre. There is a reasonable conclusion that town centres cannot provide that function given there are multiple landlords who have disparate property-investment requirements. However, I propose that this sensation of helplessness interferes with the retail planning a town centre ought to do. A reaction of surprise to a piece of retail misfortune in a town centre, such as a significant vacancy, is a symptom of this. It’s my observation that vacancies are expected in the paradigm of the retail leasing profession. Therefore, retail leasing agents routinely scour their own centres, the region and the nation for opportunity. The need to provide for the shopping centre’s future vacancies means retailers are always proactively sourced. Shopping centres have a team which do only this, full-time, plus the negotiation and settling of leasing contracts. Whilst performing this function the agent relates to potential retailers and brings their intelligence to bear on the sustainability of a centre. Their need (and interest) in retail activity everywhere also informs their strategy to be sustainable beyond the mere attraction of tenants. Retailers’ individual, future requirements and opinions on other retailers, landlords, shopping centres and locations, buildings, shopfronts, technology, marketing and more can be disseminated. Just as a forest has much going on that cannot be seen to the naked eye, a town centre has a retail ecology, with much invisible activity other than the changing of shopfronts. This ecology includes the constant interchange of relationships among customers, business owners, retail trends, economies, government, people, land use, and place management. Each tenant has different motivations which are varied and are not tied exclusively to the opportunity to make money in their trade. 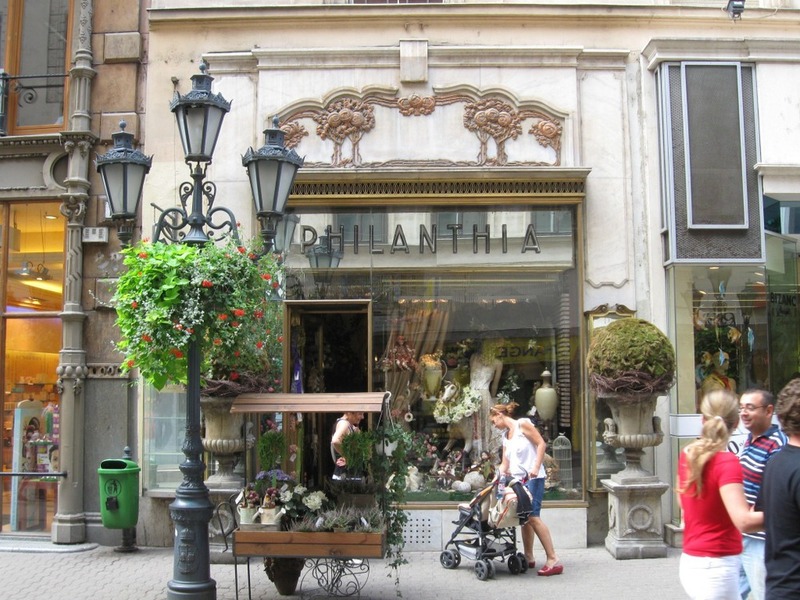 Just as the selection of a new home involves many different factors, so too does the selection of a premises for a shop. Other than to make money, my observation has been that motivations of retailers include: to develop their professional skills by being near their mentors; to demonstrate a threat by being near their competitors; to brand their business appropriately due to the association with elements of the location such as adjacencies, catchment or the built form (some retailers particularly co-habit in heritage shopfronts, for example); to wind their business down due to retirement or to prepare the business for sale; to access to a better landlord-tenant relationship (i.e. better security of tenure); to be in a more convenient location due to changing life circumstances such as children changing schools or a home relocation. Business curation (retail/commercial leasing) is matching those motivations to the opportunities within a centre. To do so enhances the sustainability of the centre as the bonds between the retailer and the centre are more secure. Business curation – predominantly concerned with finding the next tenant – is a practice which brings understanding to all of these factors and is a discipline which is suited to supporting the sustainability strategy of a region. A win in leasing is to secure the ‘perfect tenant’. This is not always a major or trophy tenant, such as Apple or Gucci; it is the tenant who creates the next building block to the sustainability of the region. A possible argument is that retail leasing for the purpose of entering into leasing contracts is only one function of a larger centre-sustainability role. The sustainability role involves bringing communities of business and retailers from all areas, locally and abroad, through the paradigm of the centre’s sustainability-agenda and the personal and metanarratives of the participating actors and other stage pieces. A lease or contract between those actors whose stories collide and bond is simply the ‘end-game’. A sustainability strategy for a city, therefore, must provide a manner to implement constant retail leasing activity, where the stories in the marketplace and the stories in the centre can make the ‘perfect matches’ where possible. This is finding the ‘perfect tenant’. It is also accelerating personal contact among change-makers in a community, with the positive effect of faster development in a place’s creativity, innovation, and technology than its competitors. A town centre with insular, singular retail leasing marketing strategies and a wait-and-see approach to vacancies is therefore less competitive and can cruelly lead to misled communities of inappropriate retail mixes, and potentially spiralling vacancies, which can lead to boarded up or abandoned streets which are credibly cited as leading to civil blight. Retail leasing/business curation is a central service to the business community as it provides information on real property plus other elements of the ecology which a business (especially retailers) need in all centres to make their decisions. A town centre with business curation services at hand will put itself at the seat of wisdom which will inform the centre on its sustainability, which is a critical feedback loop in order to be competitive, resilient and sustainable, as well as finding the perfect tenant. It can be claimed that shopping centres have the additional intelligence received from business curation activity and the ability to act on it. Town centres rarely do, as leasing occurs in singular events and by too many disparate practitioners. Town centres must equip themselves with the skills of retail leasing if they are to fulfil their own briefs to create vibrant, thriving retail centres and economies. A shopping centre usually is well advanced in the planning of the next possible tenant and is linking that to their planned sustainability outcomes. Whilst it is true that coordinating the retail uses across a whole town centre as a shopping centre does is unrealistic, my position is that the benefits of business curation (retail leasing) bring more than that. Business curation is an essential tool to harness economic, social and cultural revitalisation. This article advocates for business curation/retail leasing to be inserted into sustainability strategies, and can be a part of the growing place-management profession. Retail curation includes place making – the development of shopfronts and new urban realms through the leasing of vacancies. It is also place marketing: the retail leasing agent’s activity promoting a city and its places to retailers and incumbent businesses’ activity in marketing the city for the benefit of their business. Additionally, retail leasing is a tool to support environmental sustainability. The retail industry can demonstrate leadership in its influence over transport, food security, construction, energy use, and public relations. It is fair to argue that someone who practises exclusively in the field of retail leasing must always be sourcing new tenants to provide for the next potential vacancy or to provide for several vacancies currently on the market, or coming up. 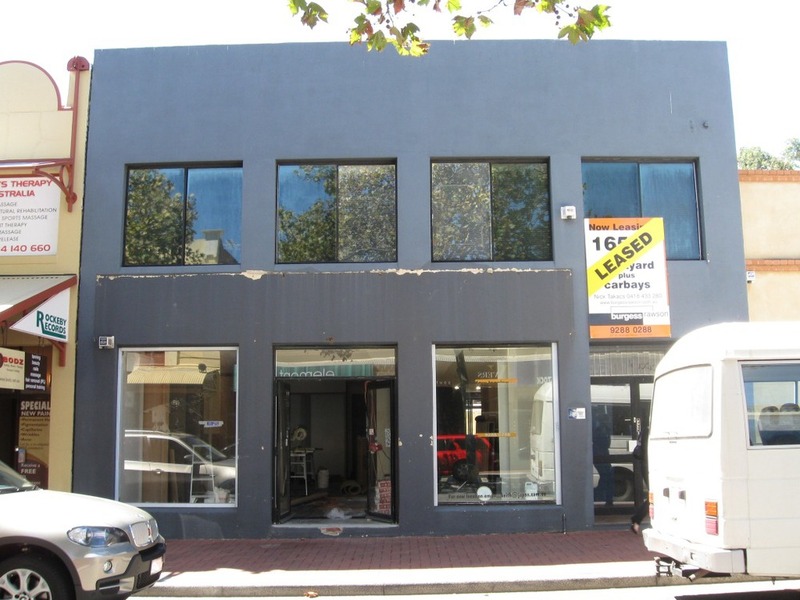 Merely waiting for a retailer to walk past the ‘for lease’ sign – the ‘wait and see’ approach – is unsustainable, yet this is what occurs in much leasing transaction activity in town centres. This article was adapted from Silver Bullet: introducing retail leasing as a hero of city sustianability.